Jacqui works with St John Ambulance and has been a qualified paramedic for over 25 years. Jacqui’s working life has been dominated by her Ambulance career, during which she has worked mainly in the Perth metropolitan area. She is the parent of one daughter and three sons with currently two sons attending Broome SHS, with one more boy to follow. She has a vested interest in education in Broome and is committed to it being the best in Western Australia. Jacqui believes it’s important to be involved with your own children’s education, which led to her become a member of the Broome SHS Board. 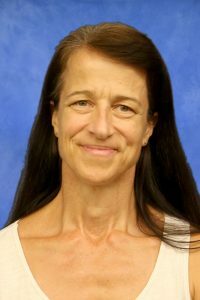 When the position of Chair became vacant, Jacqui was drawn to it to further contribute to the school and develop her understanding of the public education system. Prior to moving to Perth from Geelong, Jacqui sailed many times on the STS Leeuwin, including voyages for disadvantaged youth and people with physical limitations. Kelvin has worked in metropolitan and rural and regional schools over the past 29 years. In that time he has taught in the classroom from Year 1 to Year 7 and as a specialist teacher; Pre-primary to Year 10. As a specialist teacher Kelvin has taught computer studies (3 years) and PEAC (1 year). As an administrator he has been a deputy principal for several years in five different schools and a principal in one District High School and three primary schools. As a Principal, Kelvin believes in distributed and inclusive leadership where staff and members of the school community become more actively involved in the direction and ownership of the school. Staff expertise is to be acknowledged and opportunities provided where staff can maximise their professional skills, knowledge and enthusiasm for the betterment of the school community. School should cater for and be inclusive of all members within the school community; where school is a safe and supportive learning environment for all students. Paul has worked in public education since the early 1980s as a teacher, deputy principal and principal in rural, remote and city locations. He has been in leadership roles for the last 21 years including a long and productive stint as Principal of Hampton Park Primary School. In 2015 Paul was selected to the Principals Advisory Team, designed to support and mentor newly appointed principals. In this role he was able to work shoulder to shoulder with many beginning principals who are now prominent and successful school leaders. Moving to Broome will enable Paul to continue his passion with student engagement. Cable Beach Primary School’s excellent achievement in PBS (Positive Behaviour Support) and most recently Cooperative Learning creates the perfect environment for a successful partnership. Kira spent 15 years as an international model before moving back to Broome in 2003, joining Goolarri Media Enterprises as the Marketing and Event Project Manager. Now the Chief Operations Officer, Kira oversees over 20 staff in television, radio, training, new media, events, music and administration whilst continuing to focus on the organisations strategic planning. Kira holds a Diploma of Management, a Certificate IV in Training and Assessment and has been responsible for the development and management of a number of high-profile activities including the internationally recognised Kimberley Girl Program. Jared started his teaching career in Melbourne, moved to WA in 2008 and has taught and worked in a number of schools with significantly different contexts. Across the last ten years, Jared has developed a particular passion for leading teachers and schools in the effective use of technology and was fortunate to be involved in the foundation year of the Microsoft Innovative Schools Program whilst working at Waggrakine Primary School in Geraldton. 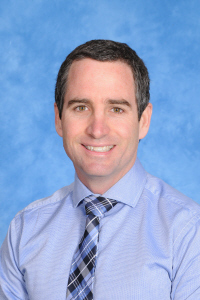 Having worked as a Deputy Principal at Rangeway Primary School in Geraldton, Jared moved to Broome as a substantive Deputy Principal at Broome Primary. Arriving at the end of the 2014 school year, Jared has more recently been appointed to the Principal position at Broome Primary. 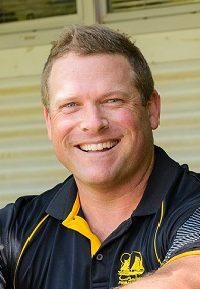 With three young daughters schooling in Broome, Jared is professionally and personally vested in the Broome IPS Cluster and values the strong relationships that exist between each of the schools. The Kimberley sets the backdrop for a special and unique educational context and Jared is strongly committed to ensuring students in Broome receive the very best educational opportunities – academic as well as social and emotional. Clancy has lived in Broome for approximately 15 years. As a media professional with many years experience working in the film and television industry in Sydney, Clancy first moved to Broome to work with Goolarri Media Enterprises. She was the Producer of television for Goolarri for six years and oversaw many of the local popular programs on GTV. Having taken a few of years off when her children were small, Clancy returned to work with the ABC. She worked in the online media for five years and held the State Editor WA position over seeing online journalists across Western Australia. Clancy is now the Communications Officer with Nyamba Buru Yawuru. Clancy also sits on the Theatre Kimberley board and has two primary school children. Leon began his career in education in Perth, teaching in a range of primary schools as well as working in the Department of Education’s Central Office. 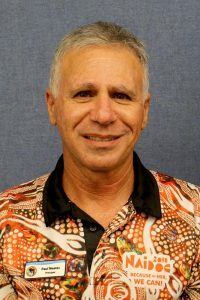 He has held various leadership roles since relocating to the Kimberley in 2013, including deputy principal at Kununurra District High School, acting principal at Halls Creek District High School and principal at Bayulu Remote Community School. He commenced in his current role as principal of Broome North Primary School in November, 2017, shortly after Bayulu RCS received the WA Premier’s Excellence in Aboriginal Education Award at the 2017 WA Education Awards. A lifelong learner, Leon is currently studying a Master of School Leadership through the University of Western Australia on a fully funded scholarship. He lives in Broome with his wife, Robyn (a teacher), and his two children, who attend Broome North Primary School. Mala was raised in Wyndham in the far north Kimberley and has extensive personal and professional connections throughout the region. She has also spent a number of years living in Beagle Bay and seven years in Broome. Mala has a diverse professional background and has held long-term positions in education, the native title sector, State Government and Local Government. As a young working mother of three sons aged 7 months, 9 years and 13 years, Mala understands the value of hard work, resilience and dedication to achieve personal and professional life goals. Time management and effectively balancing commitments, duties, and relationships is something she has mastered during her career progression. MaIa has a large social conscience and enjoys giving back to the community through volunteering and advisory board membership roles. Mentoring youth and young women is a major part of who she is. Mala is a serving Justice of the Peace, Broome Shire Councillor, Chairperson of Broome’s Community Safety Working Group and Youth Advisory Council, Master of Ceremonies, Durack Federal Electorate Committee State Executive Delegate, and continue developing her own consultant business.